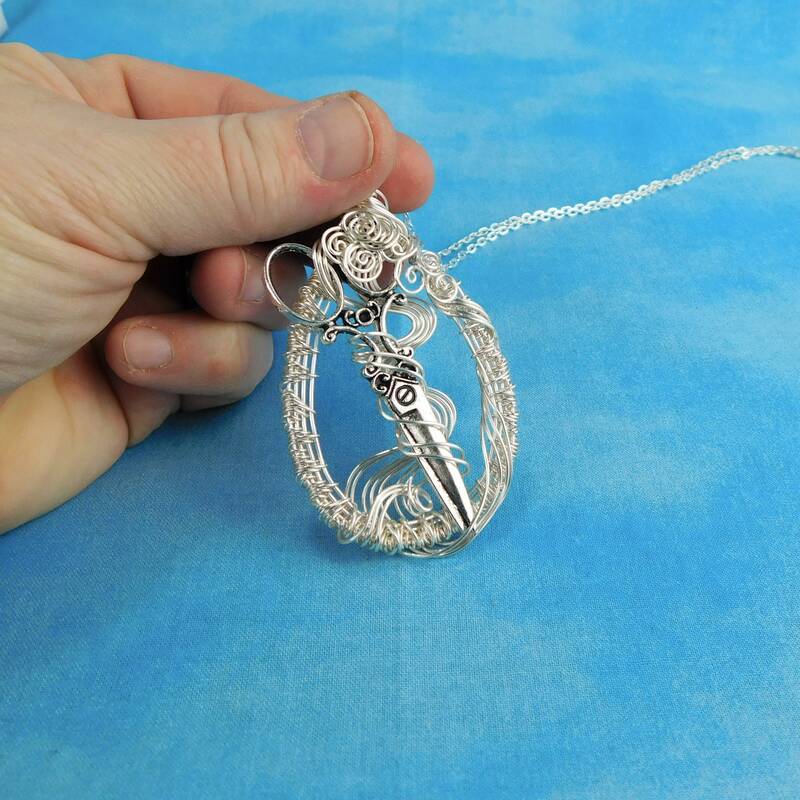 Silver wire sweeps to entangle a lovely pair of old fashioned scissors in a woven wire frame. 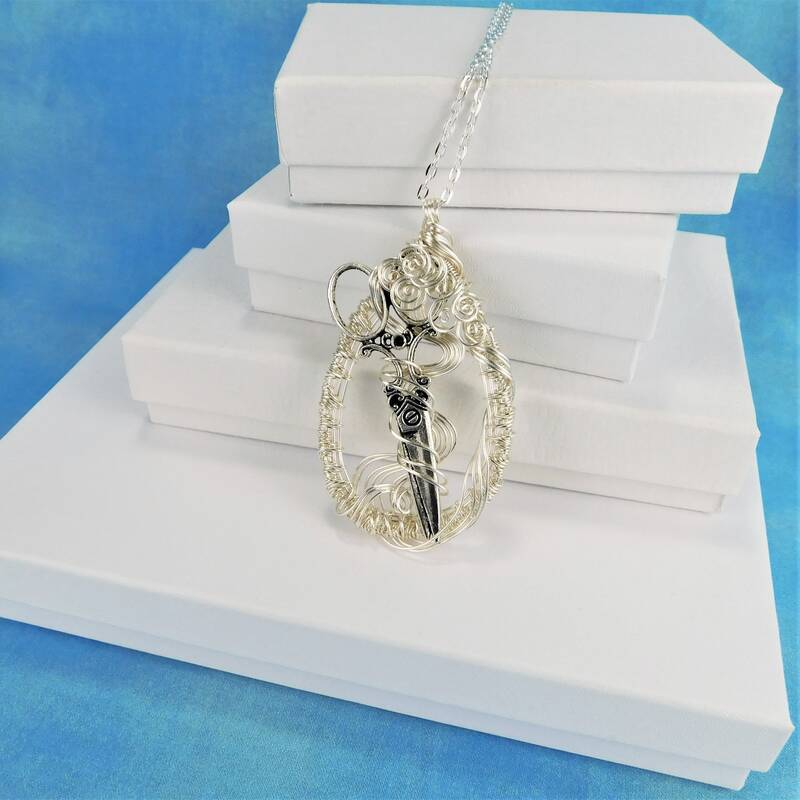 The frame is interwoven with tiny clear crystals, creating a little bit of flash and shine. 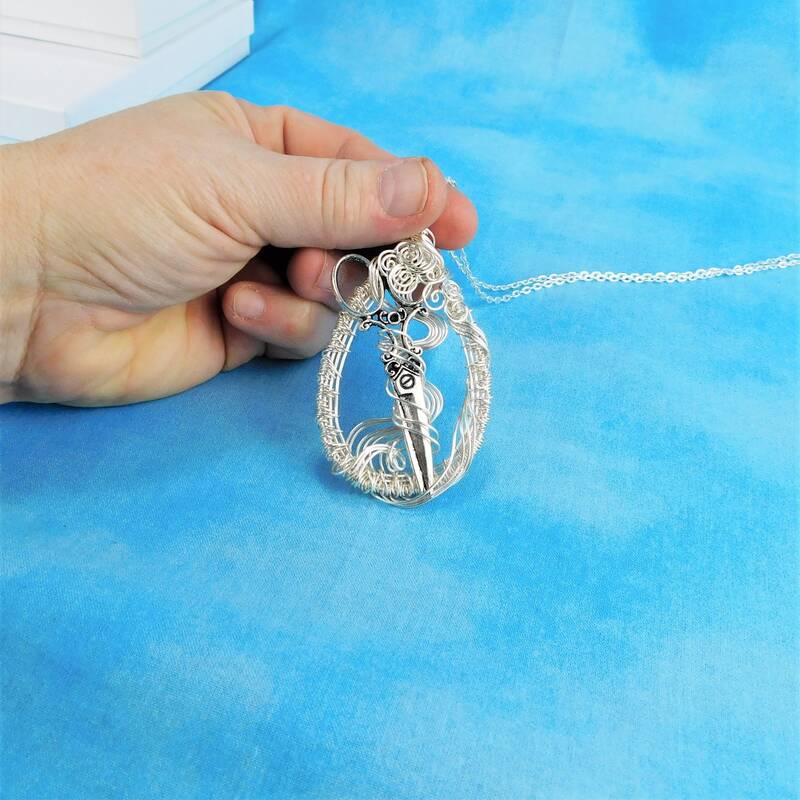 This design is perfect for the seamstress, quilter, or hair stylist in your life. 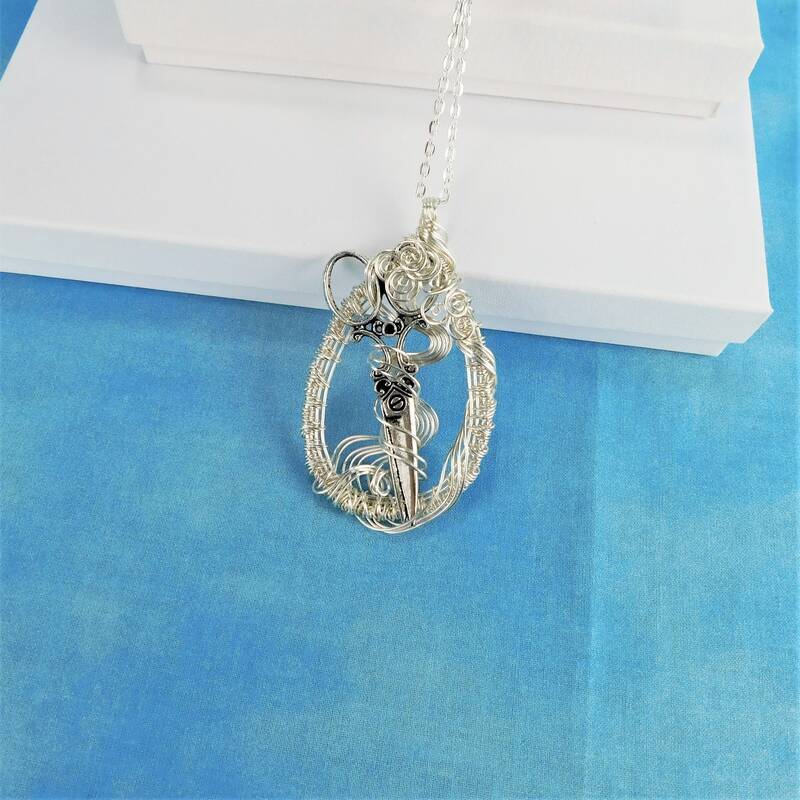 This fun and interesting jewelry piece was created with only four individual strands of wire, pliers and patience. 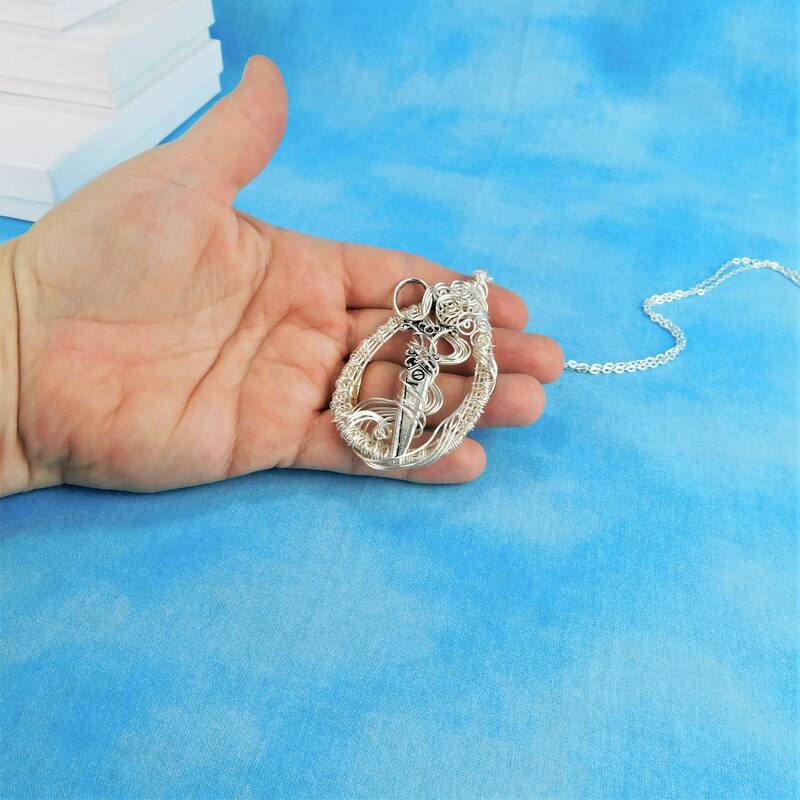 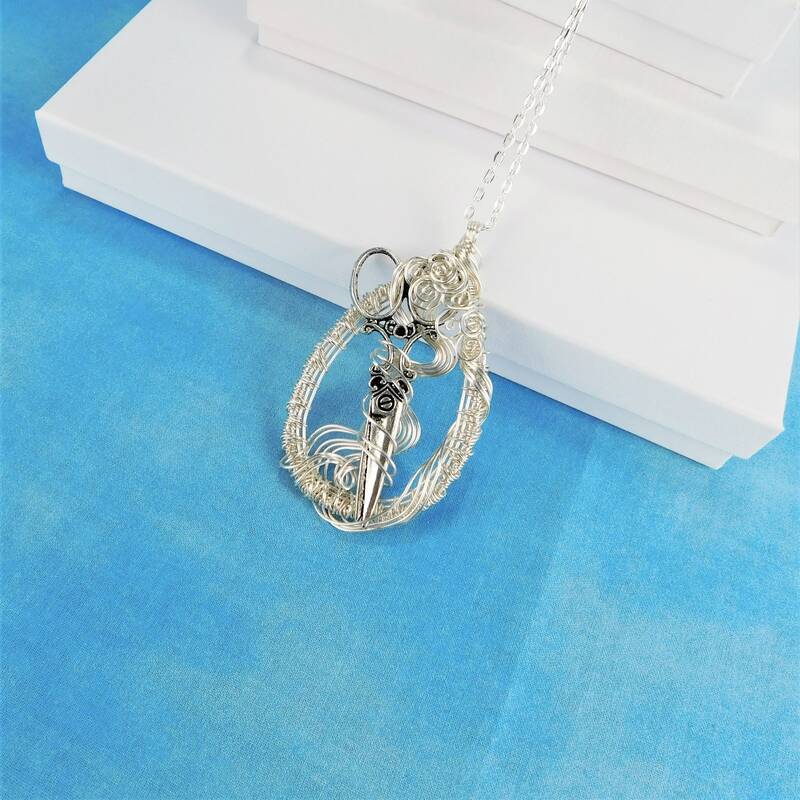 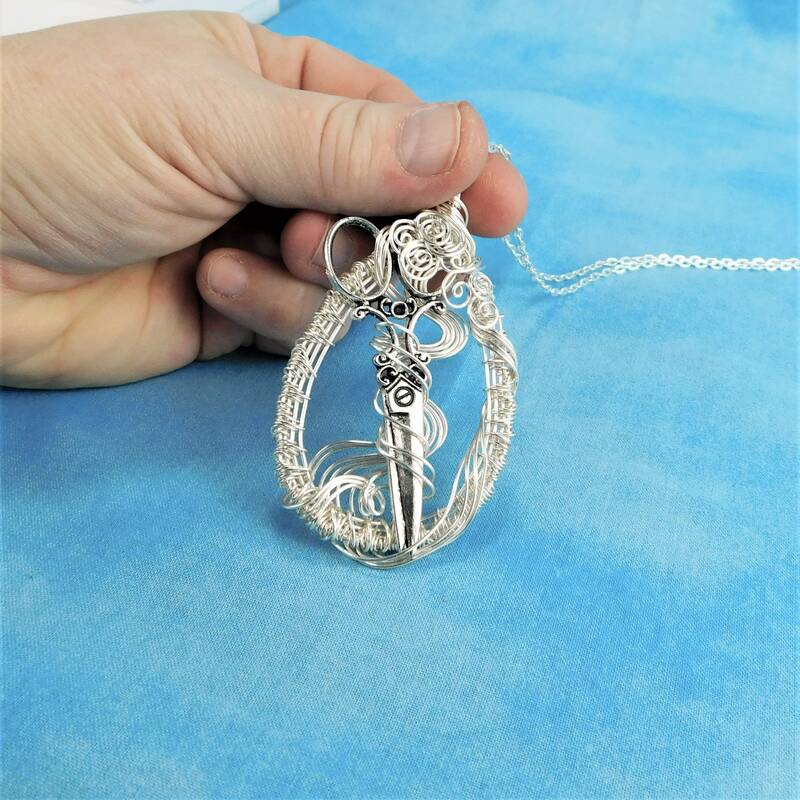 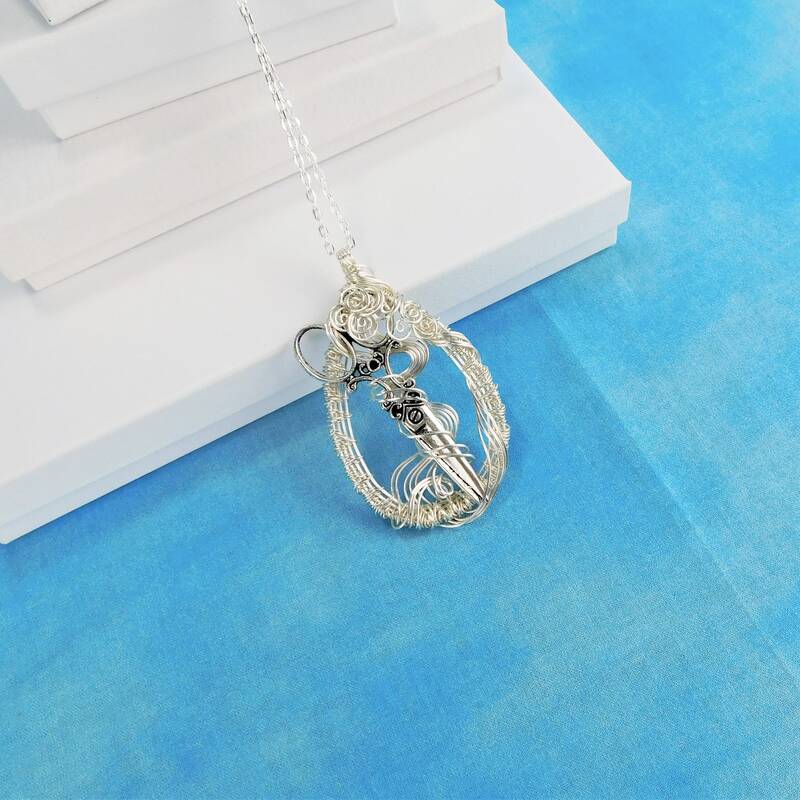 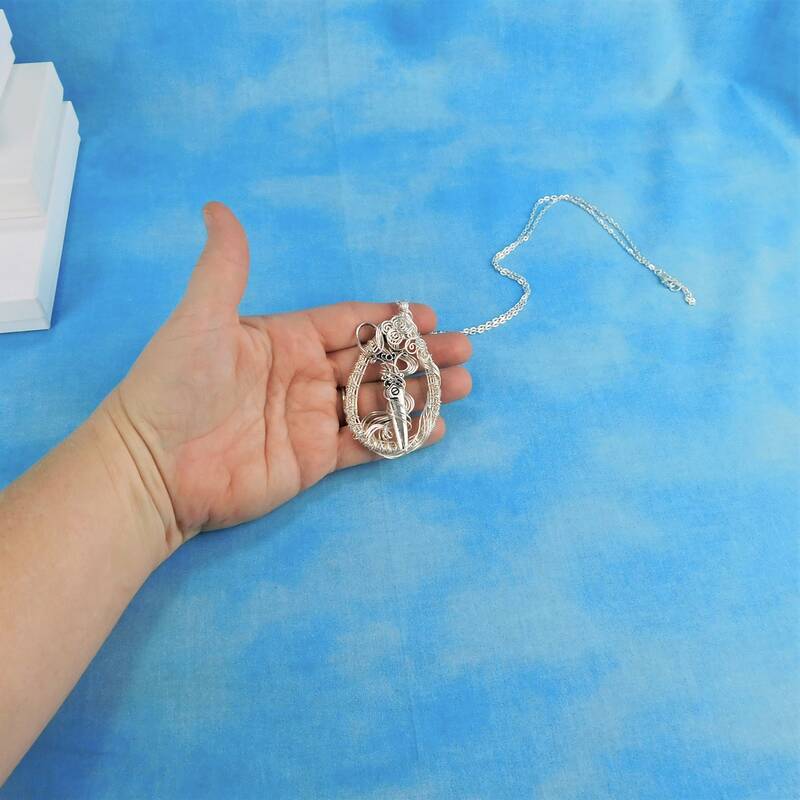 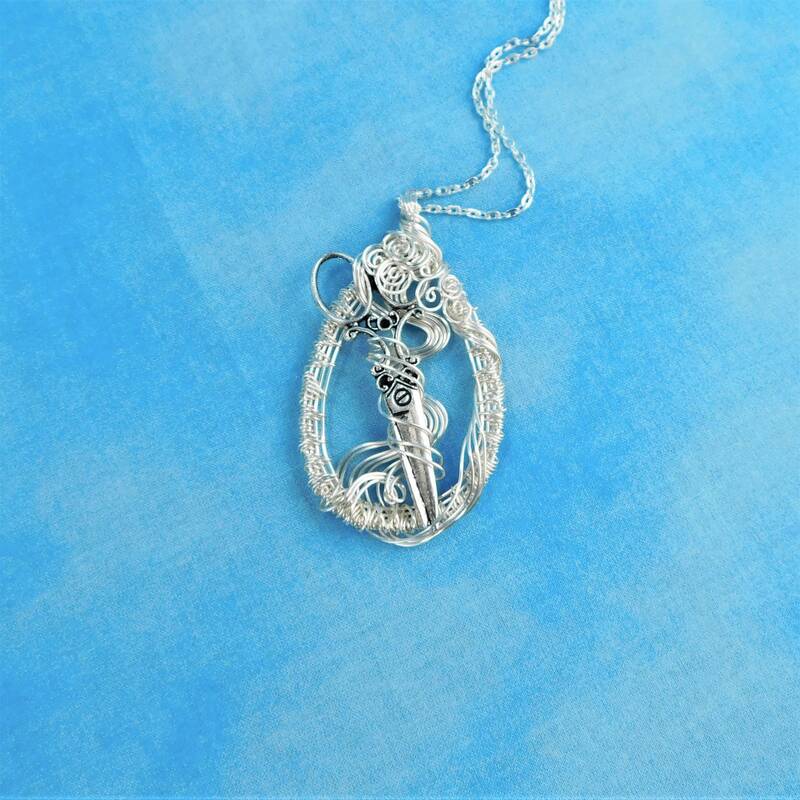 The pendant measures 2 1/4 inches by 1 1/2 inches and comes with a FREE coordinating chain with lobster claw clasp, measured to your preferred length.